It is heavily rumored Amazon (NASDAQ: AMZN) will unveil a smartphone on June 18th to compete with offerings from the other tech giants, mainly Apple’s iPhone (NASDAQ: AAPL), Google’s Android devices (NASDAQ: GOOG), and Microsoft’s Windows Phone (NASDAQ: MSFT). The possible introduction creates a lot of questions and concerns for investors. It could contribute to ongoing out performance at Amazon or turn out to be a waste of time and money from the company. The Amazon smartphone, along with FireTV, will help content sales, but their success as standalone products is uncertain. This is pretty late in the game to enter an increasingly competitive space in the market. Differentiation based on technology is very difficult since most high end smartphones are very similar. People buy based on mobile operating systems preferences and are somewhat loyal to brands, mainly Apple’s iOS or Google’s Android. Gaining market share later in the product life cycle of smartphones is not going to be an easy task. Microsoft has faced this challenge with its Windows Phone. The device could drive incremental sales for Amazon’s other services like Amazon Prime, its streaming service, and its audio books. The question facing investors is can it do more than this and establish itself as a real player in the smartphone market, much like Amazon was able to do with its Kindle tablets. The Kindle tablets had a few advantages, first, they were introduced just as the tablet market took off. The Kindle Fire tablets were an offshoot of its e-readers and became a low cost, but quality choice when compared to Apple’s iPads. The Amazon smartphone is different. The smartphone market is much more competitive with products from Samsung, Apple, Motorola, HTC, Microsoft, and Blackberry. It will need an edge to push consumers to adopt its products over the more entrenched competitors. The two small players Microsoft and Blackberry have value propositions. Microsoft provides value by offering one OS across devices and interoperability with Windows and Office. Blackberry’s edge to maintain share is driven by its enterprise email solutions that provide greater security. The rumors around Amazon’s offering are that it will feature technology that will track the eyes of the user and have a 3D display to allow reading from different angles. It may offer both a high-end and low-end version according to expectations. The 3D screen is trying to compete with other manufactures by offering a differentiated technology. This may be compelling for heavy consumers of video content. However, the adoption of 3D televisions was slow and the industry has largely moved away from this. While the smartphone device reportedly avoids glasses, a problem for the TVs, it still may not generate enough excitement to penetrate a very competitive market. The next question is how the company will take the product to market. It is critical to get carriers onboard and it lacks these relationships. It could start with one carrier like Apple did with AT&T before rolling out the phones out more widely. FireTV will also help drive additional content sales at Amazon. FireTv is a digital media player, like Roku or Apple TV, and a micro console. It streams video content like other devices in the market but also offers users the ability to play video games over the remote, mobile app, or game controller. It was released on April 2, 2014 and sells for $99. The reviews were positive on the whole but some did say Amazon had more work to do by adding additional functionality. Amazon had two holes in its product lineup entering the year. It did not offer a set top media box or a smartphone. It has a full line of tablets and e-reader products. The introduction of FireTV and possibly a smartphone in June fills in these holes. Amazon makes its money from selling content and these new devices (like the Amazon smartphone) give the company additional touch points with consumers. The company pre-loads these devices with its service and software, which ideally creates a more captive user. 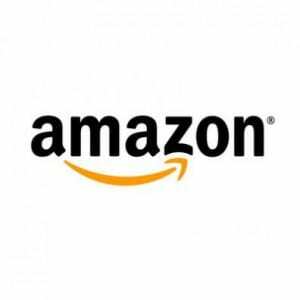 By having a full-line of offerings, users can have all content across their devices with Amazon. This provides the user access to content from anywhere. Before, iPhone users could not easily access there Amazon services from its devices. The focus of its smartphone intro is expected to focus on the visual side with a 3D screen and six cameras. The idea is that heavy users of video content will have a compelling reason to buy the full suite of Amazon products and the superior 3D smartphone. Amazon remains a content company the smartphone introduction does not look like a reason to buy. It reeks of a company trying to find growth and feeling compelled to introduce new products. The market is too difficult to penetrate and competitors will quickly offer similar features. Features no longer generate share in this market.